So, you’re aquaphobic (afraid of water) and diving isn’t your stuff to do but intensely interested to explore how the ocean life looks like? S.E.A Aquarium could be your best option and the answer to your relentless thoughts. 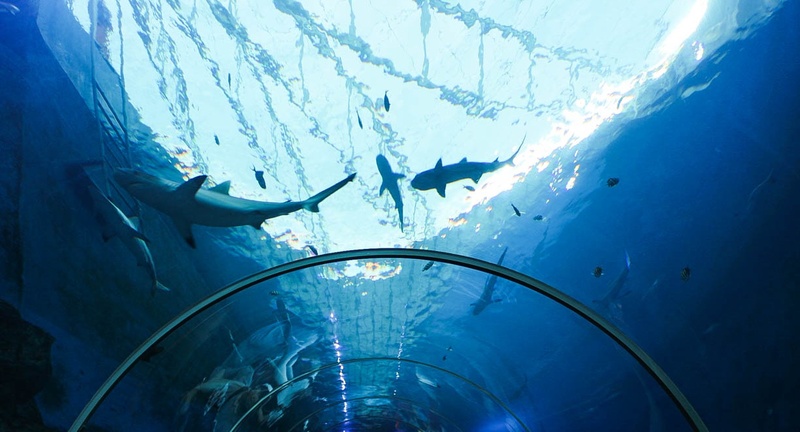 Started its operation in the last five years, S.E.A Aquarium at Resorts World Sentosa is voted as one of the world’s largest aquariums and cater more than 100,000 marine lives from across 1,000 species. This year, S.E.A Aquarium develops to become an ocean paradise with many attractions including sparkling displays, interactive activities, and Scuba Santa and Elves’ underwater adventures. One fun fact about this gigantic aquarium is to educate not only the kids, but also the grown-ups to discover new fishy friends and fun festivities for the whole family. 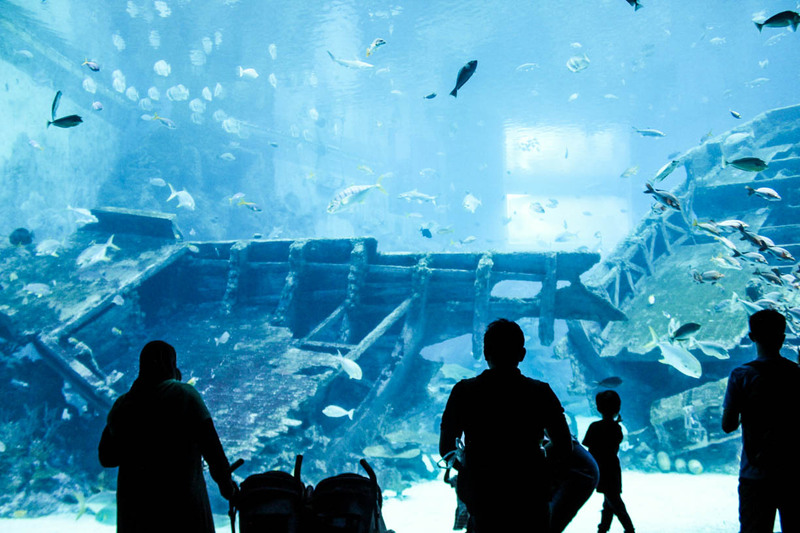 If your children are outgoing and love seeing plenty of marine lives, head over to S.E.A Aquarium! 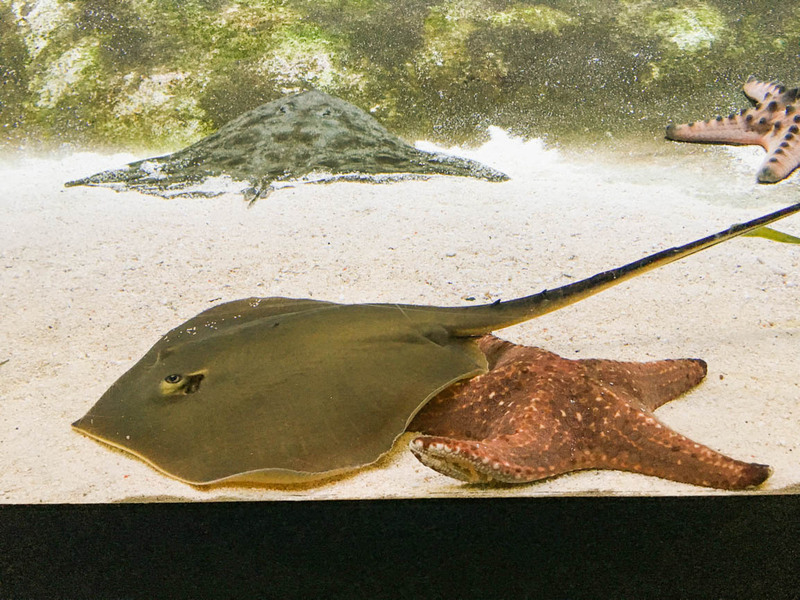 In fact, S.E.A Aquarium just accommodated a new life into its residence, the ornate eagle ray, which can be found at the Shipwreck Habitat, along with other threatened species such as the shark ray, green sea turtle, and hawksbill turtle. With Christmas approaching, S.E.A Aquarium will also present crowd favourites like Scuba Santa and the Elves to make the audience go wildly excited with their cheeky underwater antics as they dive amongst sharks, manta rays, and hundreds of schooling fish to provide special enrichment treats for the marine lives. Another excitement also awaits in which visitors are accorded to watch up-close the aquarium’s male giant Pacific octopus during feeding time as it employs its tentacles to fumble for hidden treats in a box. Additionally, visitors can understand and discover more on the increasing plastic pollution issues at conservation booths. Interested comers can sign up for the new Guardians of the S.E.A.A as a fresh start to be more active in conserving the ocean. The membership fee will only charge you as cheap as 8 SGD to enjoy exclusive privileges such as invitations to members-only conservation activities, workshops, and events. 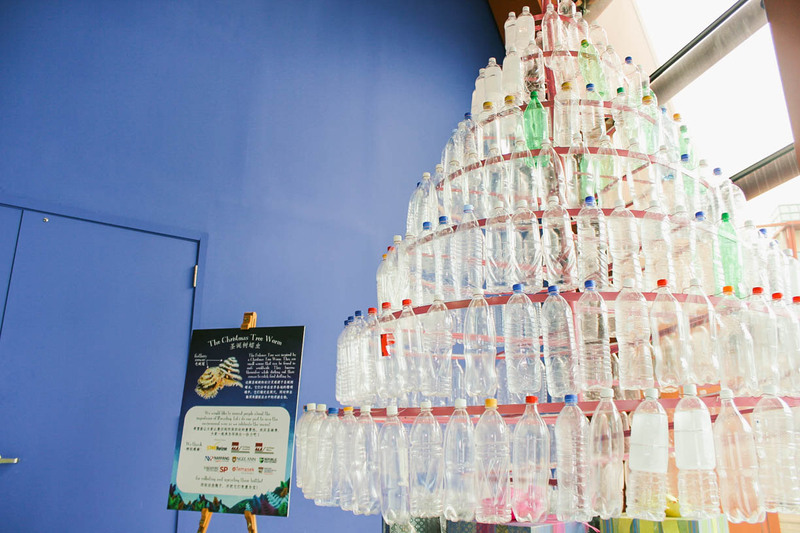 Another highlight that runs S.E.A Aquarium is that, visitors can admire at a towering 3.2m tall Fishmas tree made up of more than 300 plastic bottles built by young volunteers from a number of institutions. The intent is to remind people the significance of recycling as an approach to keep the ocean clean. Daily: 3.30 PM. Additional performance at 1.45 PM on the following dates (16 & 17 December to 1 Jan 2018). - An experience which allows you to stride on the lagoon floor and breathe in underwater helmet as friendly dolphins approach you. 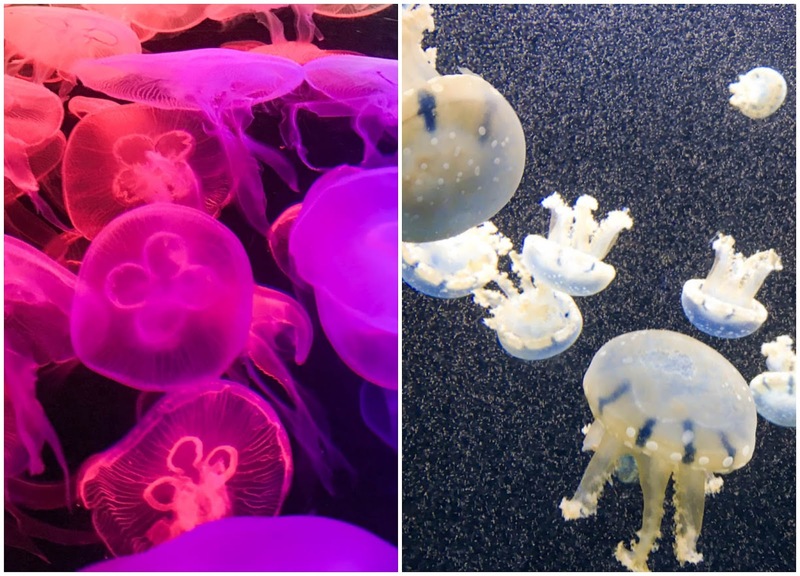 Every visitor can look forward to learning more about the strikingly beautiful sea creatures at SEA Aquarium at only 30SGD! Visit www.rwsentosa.com for more information. 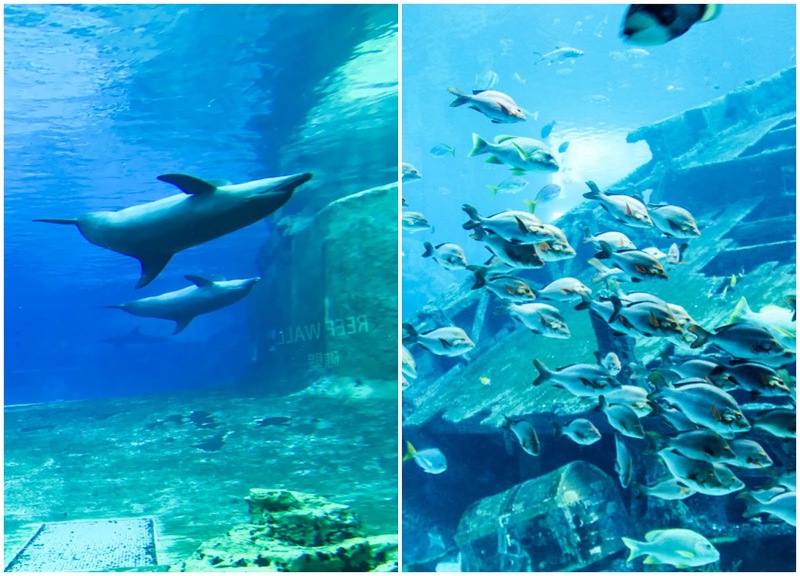 aku belum pernah lihat sea world, tentunya berada di bawah aquarium besar dan lihat ikan-ikan jadi pengalaman yang bagus. Allahu cantik sangat.. kalau laa dapat pegi.. hehehe pojie meh lanjer ahkak hahahaha.